Ask the Reader: What Major New Feature or Change Would You Add to WordPress? We all have the potential to contribute to WordPress – developers and users alike. Our recent interview with Eric Mann is evidence of that. Even if it’s a little tweak here, or a Codex entry there, you can do your bit. And to an extent, whether or not a desired feature gets into the WordPress core is down to how hard you fight for it. Till Krüss was met with indifference regarding his suggestion that the admin menu should remain fixed when a user scrolls down through the WordPress dashboard. So he developed a plugin to draw attention to the feature (which will hopefully lead to adoption). Whilst no one should feel obligated to contribute to WordPress development, anyone who wants to should be welcomed with open arms – regardless of their abilities. New WordPress updates always feature various tweaks – the kind of stuff that may not rock your world, but add just a little bit more to the WordPress experience. 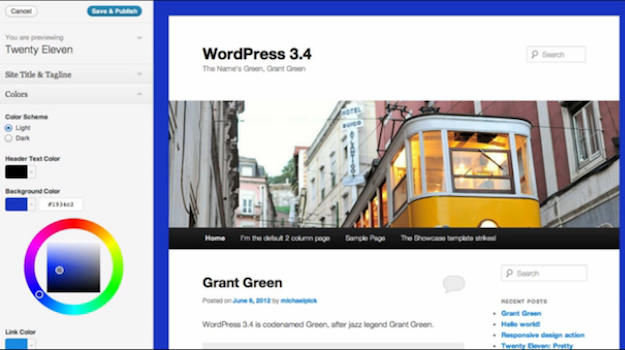 But every now and then, something major is released – like it did with the WordPress 3.4 update. The new theme customizer is no small undertaking, and may well revolutionize the way in which developers design themes, and how we use them. The introduction of the theme customizer came as a surprise to many in the WordPress community, and that fact is perhaps indicative of how open our community is to developing radical new features that can change the way we use WordPress. What I am leading up to is this – WordPress is there for us to develop. It will be folks like you and I who determine the future of our favorite CMS. Whether we are just humble users, or active developers, we can all play a part in shaping WordPress’ future. What major new feature would you like to see added to WordPress? If you’re not a regular commenter on the blog, now’s your opportunity to introduce yourself and get involved. If you have more than one idea, no problem – include as many as you like! Don’t be afraid to be selfish with your suggestions. We all have our different priorities, and an incredibly useful feature for one person might be inconsequential to another. That doesn’t make it any less relevant. Feel free to disagree with my suggestions and offer up your own – there are no wrong answers here. So what are you waiting for? Give us your opinion in the comments section now! I’m a web designer/developer and I create themes from scratch for sites and clients so all this theme customisation doesn’t help me at all when it comes to WordPress. I read this article quite a while ago (Without leaving a comment, sorry! ), but it’s given me time to think of something to add to WordPress. 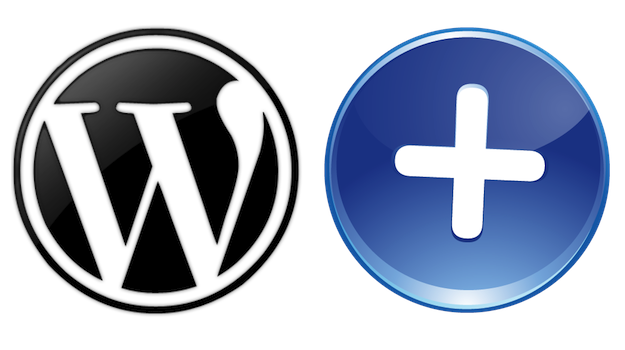 Adding some of the best and well known plugins into the WordPress core would help make things better in my opinion. For example SEO plugins. Why can’t WordPress have that sort of functionality built in making wordpress work right from the install with the ability to change settings like plugins allow? Something else would be the ability to add contact forms. What website doesn’t have a contact form these days? Adding the option to the core would help WordPress become more of a CMS than just be seen as a blog. Does anyone else have any useful plugins they would like to see integrated into the WordPress core? It would be a blessing to have a built in FTP!!! Also please update the coding capabilities to not mess with the code! I hate working on a page and it looks great only to come back and edit it, and it’s changed. I would like a built in way to assign widgets to certain pages like you can in Joomla. This would give the layouts way more flexibility. I know this can be done with a plugin but it should be built in. Anyone agree? Agree 100% Mario – I have no idea why this hasn’t been built into the core – it’s a no brainer in my opinion. I think additional functionality like this is a great idea, as long as it doesn’t make WordPress any more imposing for new users. I think that will always be Automattic’s focus – on catering for the masses. Security – You know all those tweaks, file changes, and plugins we use to “harden” WordPress security? Could they not be built-in? They certainly could be – the question is, should they? I agree with Rick. The theme customizer is nice but for me disappointing. I was really hoping for a true development environment. Being able to completely redo the design and inner workings of your website (including activating / deleting plugins) in a safe environment and then click a live button to make the switch. Now that would really be something! Without being very technical there currently is no way to have a safe dev environment for a website that can’t be offline for even a minute. Unless someone can correct me on this, please do. I would like to see the developers come up with an idea for us to work on our site upgrade in the background while the site is still live. What you guys think? I’ve seen and used some plugins like ‘Theme Test Drive’ which have been quite useful but run into issues when WordPress is only allowing certain functions to run from the currently activated theme, meaning you can’t check if functions work when using a theme your testing. It’s a great idea but the plugins with these functions need to do more/work better. Agree with number 3 especially as a plugin developer! I think for security, I’d like to see an inbuilt method of changing the wp-admin slug. Not sure how that’d be possible though….. I would love to see a better way of managing the media gallery. I think folders would make a huge difference. Right now it is such a mess and there are no real plugins I have found to improve the usability for clients. That’s a good suggestion, and not the first time I’ve heard it (which probably means it is rather in demand). I think general search/browsing functionality on the backend needs to be improved in general – trying to find anything when you have more than a few posts/pages/etc is a nightmare! I would like the option to manage portfolio media items for my portfolio custom post type and a separate option (or folder) to manage all the media for my blog.